Josh joined StreetSquash Newark in 2015. He graduated from Thurgood Marshall Academy in 2009 and went on to intern with the National Development Council. 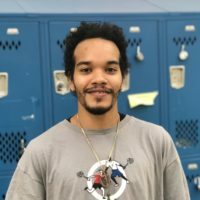 Josh volunteered with StreetSquash for several years prior to joining StreetSquash Newark full-time. Josh is a proud StreetSquash Alum (’09).